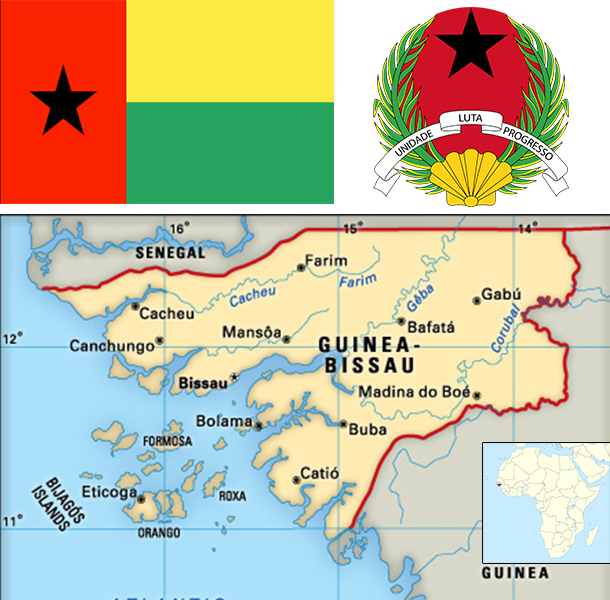 Since independence from Portugal in 1974, Guinea-Bissau has experienced considerable political and military upheaval. In 1980, a military coup established authoritarian dictator Joao Bernardo 'Nino' VIEIRA as president. Despite setting a path to a market economy and multiparty system, VIEIRA's regime was characterized by the suppression of political opposition and the purging of political rivals. Several coup attempts through the 1980s and early 1990s failed to unseat him. In 1994 VIEIRA was elected president in the country's first free election. A military mutiny and resulting civil war in 1998 eventually led to VIEIRA's ouster in May 1999. In February 2000, a transitional government turned over power to opposition leader Kumba YALA after he was elected president in transparent polling. In September 2003, after only three years in office, YALA was overthrown in a bloodless military coup, and businessman Henrique ROSA was sworn in as interim president. In 2005, former President VIEIRA was reelected, pledging to pursue economic development and national reconciliation; he was assassinated in March 2009. Malam Bacai SANHA was elected in an emergency election held in June 2009, but he passed away in January 2012 from a long-term illness. A military coup in April 2012 prevented Guinea-Bissau's second-round presidential election - to determine SANHA's successor - from taking place. Following mediation by the Economic Community of Western African States, a civilian transitional government assumed power in 2012 and remained until Jose Mario VAZ won free and fair elections in 2014. Guinea-Bissau is highly dependent on subsistence agriculture, cashew nut exports, and foreign assistance. The legal economy is based on farming and fishing, but illegal logging and trafficking in narcotics are also important economic activities. The combination of limited economic prospects, weak institutions, and favorable geography have made this West African country a way station for drugs bound for Europe while trade in illegal logging, food, and fishing is also significant. Two out of three Bissau-Guineans remain below the absolute poverty line. Guinea-Bissau has substantial potential for development of mineral resources including phosphates, bauxite, and mineral sands. The country’s climate and soil make it feasible to grow a wide range of cash crops, fruit, vegetables, and tubers; however, cashews generate more than 80% export receipts and are the main source of income for many rural communities. With renewed donor support following elections in April-May 2014 and a successful regional bond issuance, the new government of Guinea-Bissau has made progress paying salaries, settling domestic arrears, and gaining more control over revenues and expenditures. The IMF noted that the new government has taken the positive step of developing a long-term economic plan, while implementing sensitive economic reforms in the wake of the 2012 coup.